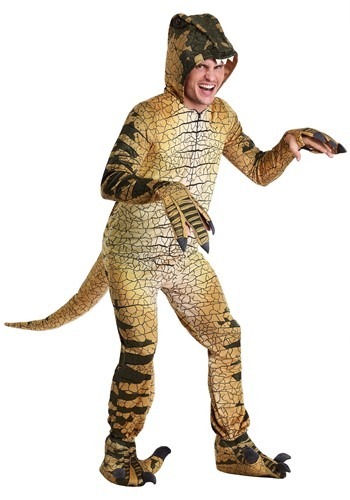 Revitalize the Jurassic Era in present-day with an adult velociraptor costume. 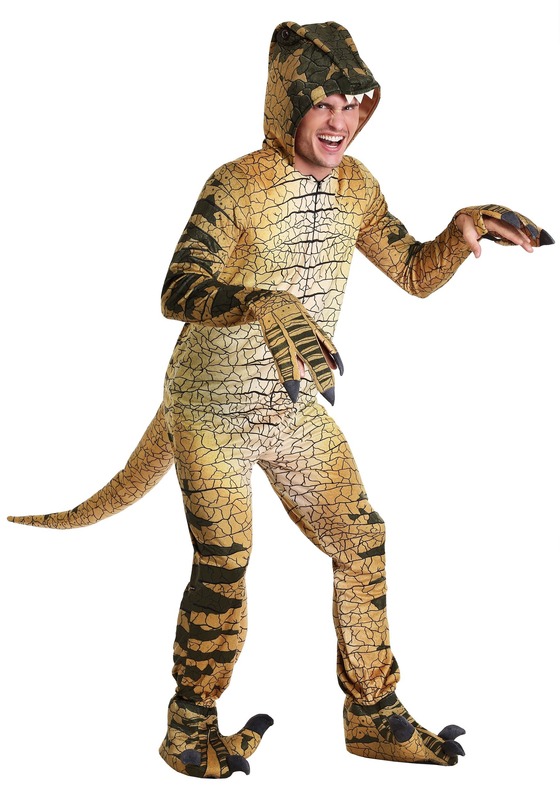 It'll be nice to see dinosaurs roaming the earth once again! We can't wait to drive through our neighborhood and see a raptor mowing the lawn or watering their garden. It'll be nice seeing velociraptors in the office, typing with their tiny hands and making phone calls with their claws. While disguised at this aggressive reptilian beast of yesteryear, be prepared for lots of attention wherever you plan on going. We expect many people to take pictures because it's not everyday you see a prehistoric monster! If you get tired of all the attention? Just show 'em some of that famous raptor rage! 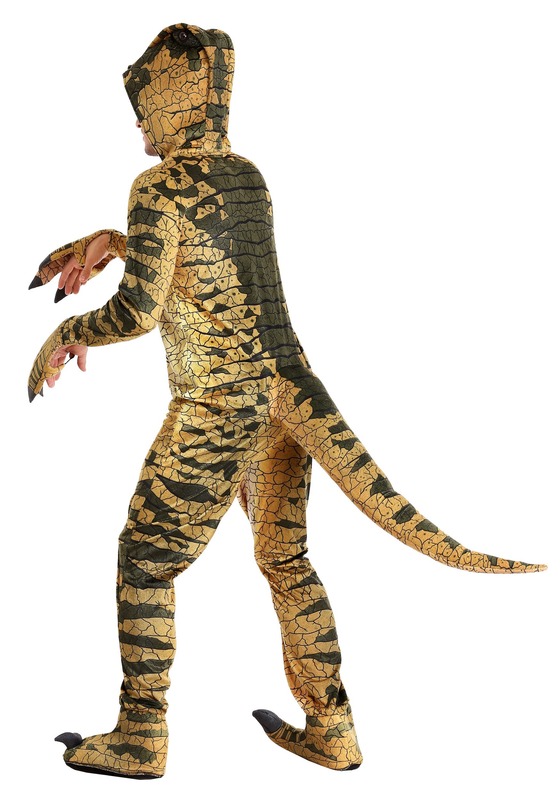 The adult velociraptor costume is a Made by Us design so it's a high-quality garment that's also completely transformative. The hooded jumpsuit features an all-over scale print with a full zipper in the front with attached clawed gloves and matching shoe covers connected to the jumpsuit's legs. A plush tail is connected to the back of the jumpsuit and jagged teeth and black eyeballs are sewn to the hood.